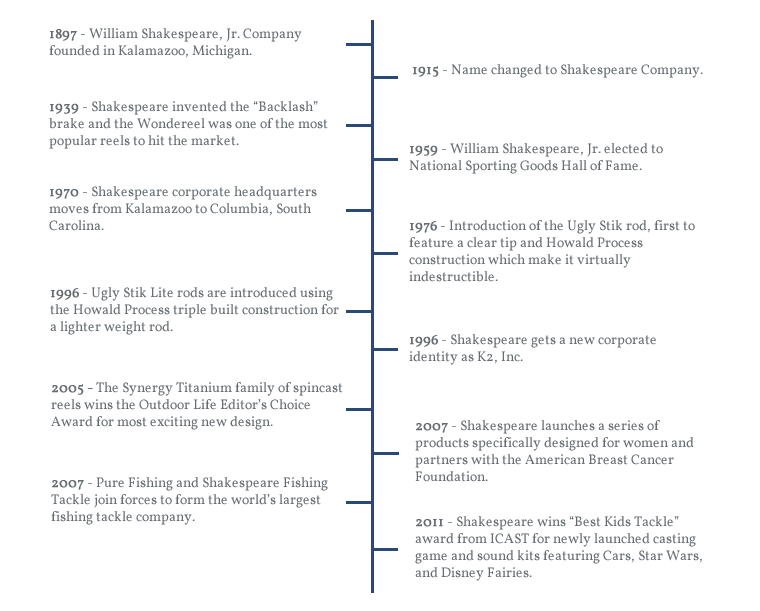 Since 1897, Shakespeare has been the leader in quality, affordable fishing tackle. Our inspiration comes from 115 years of passion and experience. From Ugly Stik to our Catch More Fish kits, to our best in class line of licensed kid’s products. Shakespeare offers something for the whole family and all levels of experience.